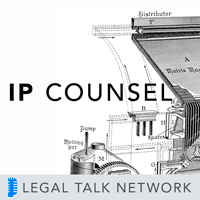 On this edition of IP Counsel, host Attorney Peter Lando, partner at the firm of Lando & Anastasi, LLP, welcomes Mary Wong, Professor of Law at the University of New Hampshire School of Law, and Director of the School’s Franklin Pierce Center for Intellectual Property, to discuss plans of the Internet Corporation for Assigned Names and Numbers (ICANN) for new gTLDs and how they will be implemented. Peter and Mary take a look at several concerns raised by the international business community and how ICANN has attempted to address each of these issues. Special thanks to our sponsors, Samet & Company, and Sentinel Benefits & Financial Group.